Carina completed a Bachelor of Physiotherapy and graduated from Charles Sturt University in 2010. She began her career working as a rotational physiotherapist at Goulburn Valley Health in Shepparton. 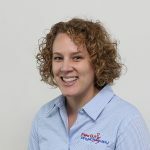 More recently, she has been working for the Victorian Paediatric Rehabilitation Service - Goulburn Valley and as women’s health physiotherapist at Goulburn Valley Health. Carina is passionate about her work and looking forward bringing her paediatric and women’s health experience to the Flex Out Physiotherapy team. Carina also has an interest in clinical pilates and lymphoedema management. Outside of work Carina enjoys playing netball and is looking forward to the new challenge of playing at a local club Beechworth this season.